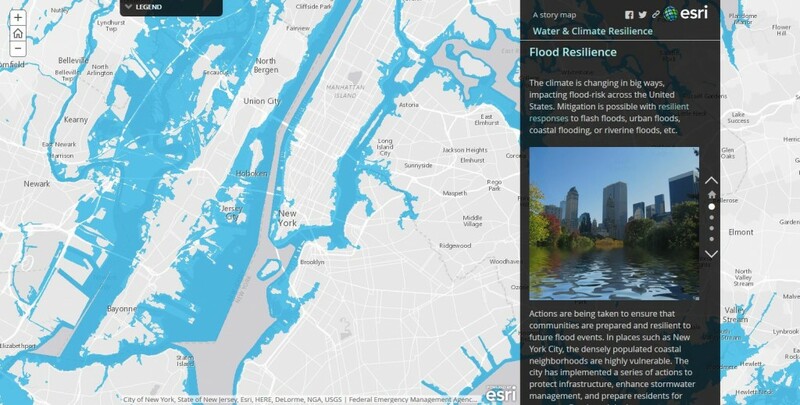 Maps help us protect water supplies and their integrity by understanding how human behaviors impact the natural system, document water sources and quantify their capacity based on current and historic data, and then share the story of the water system through engaging maps so everyone can see how today’s actions affect tomorrow’s water system. “Water is life,” many would say, yet access to clean water is decreasing as temperatures and drought increase. Local, state, and federal governments have taken actions to protect water as a precious resources and mitigate coastal flooding. National flood insurance programs, sustainable agricultural policies, and clean water infrastructure are just some of the resilient actions being implemented. Does the law provide that the natural resource is the property of the state or part of the public domain? Does the law recognize any private ownership of the natural resource? Wetlands, perhaps nature’s least appreciated landscapes, are vital to the health of ecosystems, maintenance of water quality, and moderation of climate change. 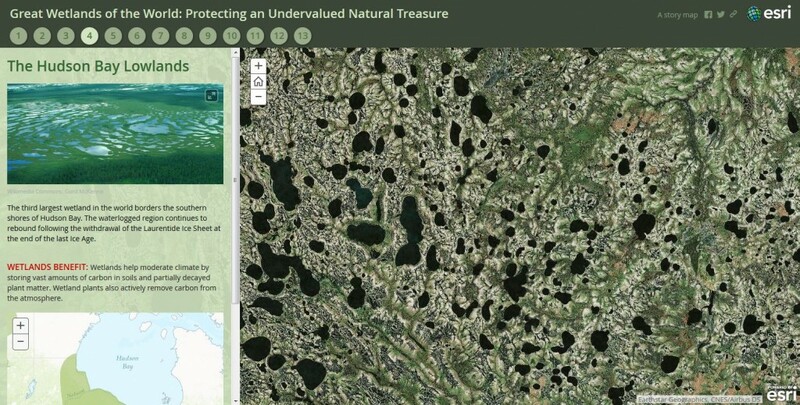 In this interactive map, you can explore the worlds largest wetland areas and understand the benefits of protecting the world’s waterlogged lands. California’s severe and ongoing drought is expected to deal “a severe blow” to the state’s irrigated agriculture and farm communities this year — the economic impact of which is expected to be felt across the nation. A new study by the University of California Davis’ Center for Watershed Sciences estimates that irrigation operations in the state’s Central Valley — a region billed as the richest food-producing region on earth — will receive around two-thirds of its normal water deliveries this year. These reductions are expected to cost California’s essential agriculture industry around $1.7 billion — with over 14,500 workers losing their jobs. 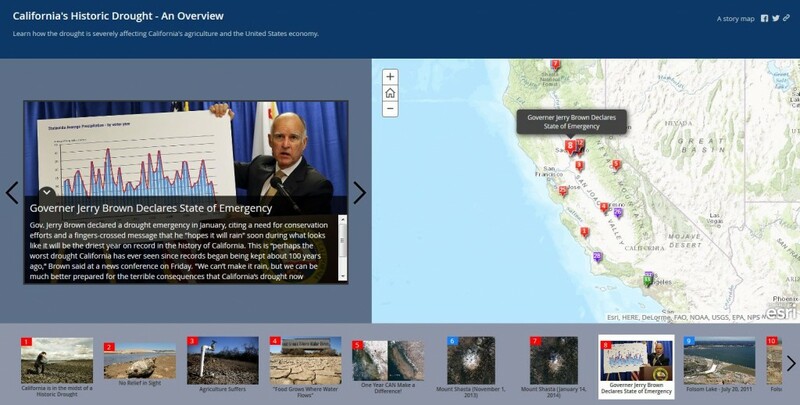 In this interactive map, you can learn more about how the drought is severely affecting California’s agriculture and the US economy. The Herring Run Watershed of northeast Baltimore is dominated by sources of Pollution. 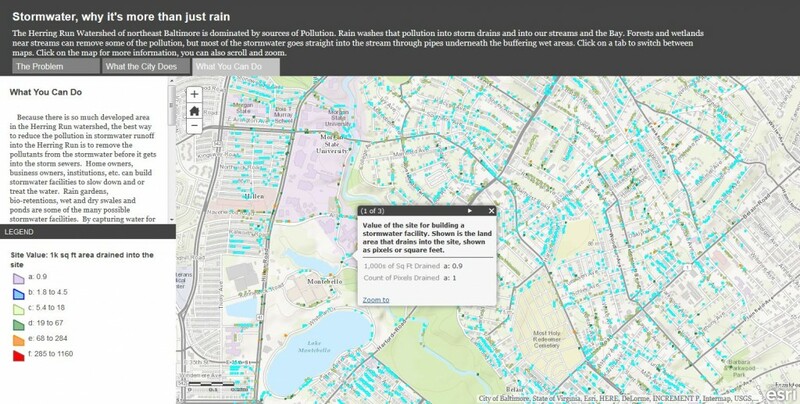 Rain washes that pollution into storm drains and into our streams and the Bay. Forests and wetlands near streams can remove some of the pollution, but most of the stormwater goes straight into the stream through pipes underneath the buffering wet areas. Invasive species introduced into Idaho are affecting plant and animal communities throughout the state. Human activity such as trade, travel, and tourism have all increased substantially, escalating the speed and volume of species movement to unprecedented levels. That’s why as Idahoans we must take care about the invasive species we allow to move into and around our state. 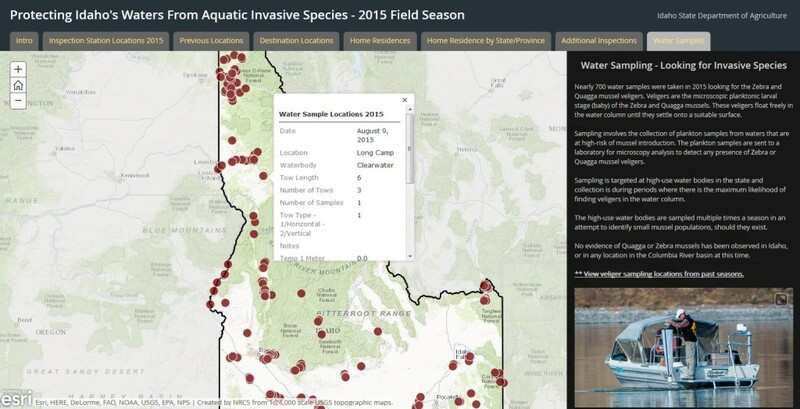 The Idaho State Department of Agriculture (ISDA) is specifically targeting the invasive Quagga and Zebra mussels, and has set up roadside inspection stations to keep them, and other aquatic invasive species out. In the Florida phosphate mining industry, reclamation of stream channels is rigorously regulated at the State and local level with requirements to maintain or improve the biological functions of systems affected by surface mining operations. 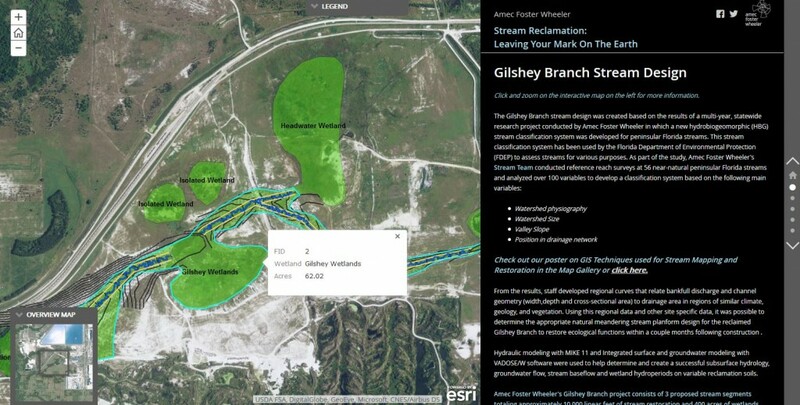 This Story Map takes you through the planning , design, and construction phases of stream reclamation. 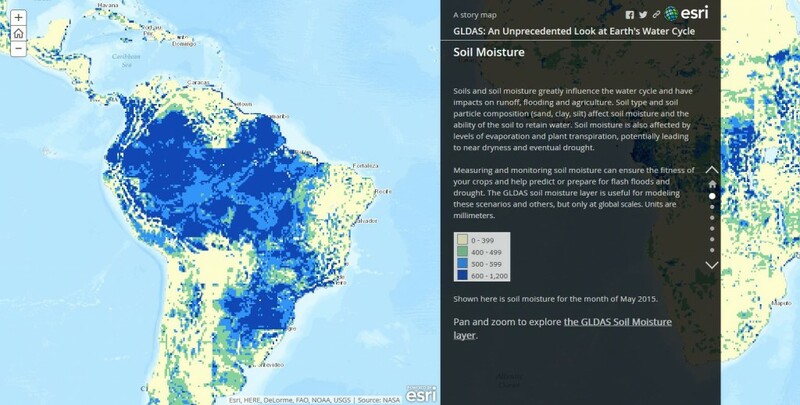 One of many data sources available in the Living Atlas of the World is Global Land Data Assimilation System (GLDAS) data. The goal of GLDAS is to ingest satellite- and ground-based observational data to create information products that help in weather and climate prediction, water resources applications, and water cycle investigations. 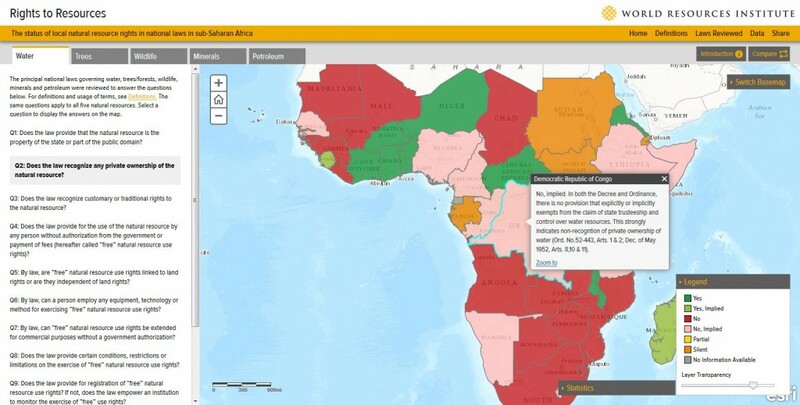 Learn more about how maps help us manage our most precious resource.